This Easy Plumb Fitting Kit is designed to raise square and rectangular shower trays by 100mm. This allows easy access to plumbing or is useful when you're fitting a shower enclosure over a concrete floor. These Easy Plumb Kits are available in 2 sizes designed to fit any square or rectangular tray size. 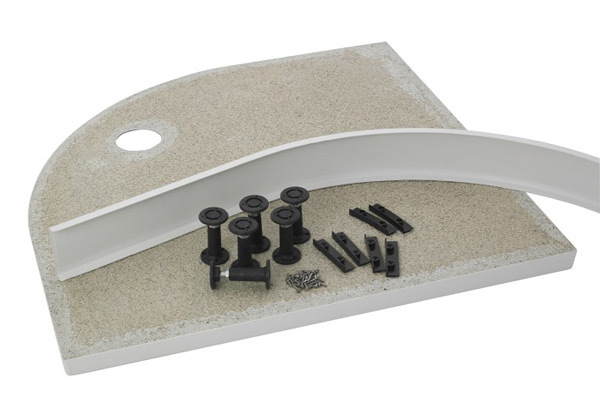 The kits includes adjustable legs that are screwed to the underside of your shower tray, trim clips, screws and a white high gloss trim that can be cut to size as required. Can be used to raise any square or rectangular shower tray and additional legs can be purchased for heavier trays. For your convenience choose the optional high quality 90mm shower tray waste to make plumbing in your shower tray a breeze.